Quaker Steak & Lube® is Founded when Co-founders Gary "Moe" Meszaros and George "Jig" Warren bought a vacant automobile service station in Sharon, PA and converted it into a restaurant and bar appropriately named "Quaker Steak & Lube®." Visit the Original Quaker Steak & Lube® Sharon’s restaurant homepage. In addition to The Lube®’s traditional "cook your own steak" menu featuring steaks, burgers, and baked potatoes, the menu was expanded to include the newly popular Buffalo-style chicken wings that Quaker Steak & Lube® has since become famous for. Visit the Sauce page to browse through Quaker Steak & Lube® award winning Wing Sauces. Quaker Steak & Lube® received its first major award voted "Best Wings in the USA," winning the National Chicken-Out competition in Cleveland, Ohio. Visit Quaker Steak & Lube® awards page. Quaker Steak & Lube®’s menu started small, with 7 wing sauces, 3 wing sizes and 33 menu items. Quaker Steak & Lube® now has 9 sauces on the menu. Atomic Wing Sauce is introduced. Quaker Steak & Lube® now has 10 sauces on the menu. Quaker Steak & Lube® racked up accolades from the WDVE Wings Cook-Off, the Three Rivers Stadium Wing Fest, Gateway Publications, Town Crier, Cranberry Journal, Y-103 Wing & Rib Fest, Pittsburgh City Paper, New Castle News, Mahoning Valley Rib Burn Off, CD106 Wing, Rib & Music Festival, Extreme Cuisine, The Warren Tribune, The Derrick, Youngstown Vindicator, Pittsburgh Magazine, Pittsburgh Post-Gazette and Penn State University. Quaker Steak & Lube® introduced Boneless Wings and Ontennas as part of an ongoing menu item. The menu included 12 wing sauces, 4 wing sizes and 50 menu items. Visit the Menu page to browse through Quaker Steak & Lube® wide variety of food items. Quaker Steak & Lube® opened up its first franchise location not far south of The Original in Robinson, PA.
Visit Quaker Steak & Lube® Robinson’s restaurant homepage. Magna Fries are introduced along with the Wrap & Roll Category. There are now 13 sauces on the menu including the brand new Parmesan Pepper. The Supersize Single order of wings is introduced and there are now 14 sauces on the menu. Quaker Steak & Lube® opened up its second franchise location in Cranberry, PA.
Visit Quaker Steak & Lube® Cranberry’s restaurant homepage. Quaker Steak & Lube® opened up its third franchise location in Erie, PA.
Visit Quaker Steak & Lube® Erie’s restaurant homepage. Quaker Steak & Lube® Columbus, OH restaurant opens for business. Visit Quaker Steak & Lube® Columbus’ restaurant homepage. Quaker Steak & Lube® expands its menu to include 57 different menu items, 14 sauces and 6 wing sizes. Quaker Steak & Lube® Valley View, OH restaurant opens for business. Visit Quaker Steak & Lube® Valley View’s restaurant homepage. Quaker Steak & Lube® racked up accolades from the American Royal Barbecue Sauce Baste Contest, Chili Pepper Magazine, Gateway Star Publications, New Castle News, Pittsburgh City Paper, Cleveland Magazine and the Erie Times News. Buckeye BBQ® Sauce is introduced. There are now 16 sauces on the menu. Quaker Steak & Lube® Sheffield, OH restaurant opens for business. Visit Quaker Steak & Lube® Sheffield’s restaurant homepage. Quaker Steak & Lube® racked up accolades from the American Royal Barbecue Sauce Baste Contest, Chili Pepper Magazine, Pennsylvania Rib & Wing Festival, Tribune Chronicle, New Castle News, Ohio State University and the National Buffalo Wing Festival. Quaker Steak & Lube® Pinellas Park, FL restaurant opens for business. 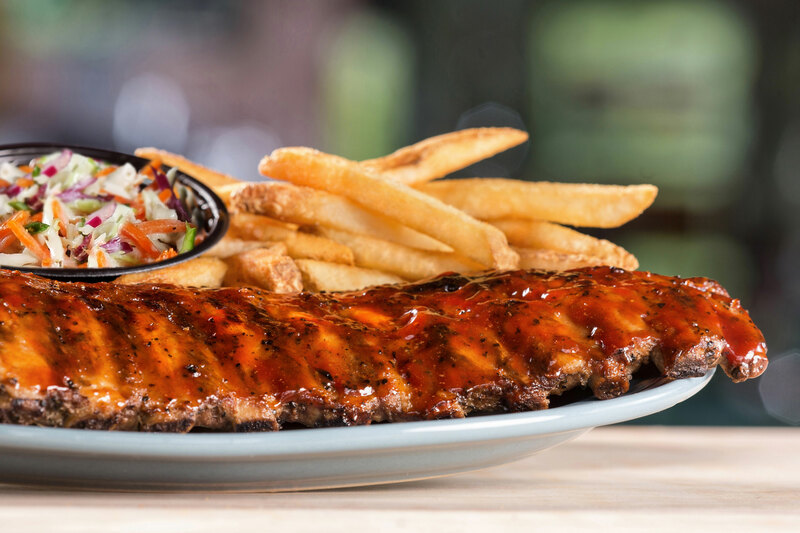 Visit Quaker Steak & Lube® Pinellas Park’s restaurant homepage. Quaker Steak & Lube® racked up accolades from Aolcityguide.com, Star Community Newspaper, Erie Times News, Chili Pepper Magazine, Ohio State University, New Castle News, 2nd Annual Buffalo Wing Festival, Taste of East Tennessee and the Pittsburgh City Paper. Quaker Steak & Lube® expanded into a new state with restaurant in Middleton, WI. Visit Quaker Steak & Lube® Middleton’s restaurant homepage. Quaker Steak & Lube® racked up accolades from Chile Pepper Magazine, New Castle News, Tribune Chronicle, Lowe’s Motor Speedway, National Buffalo Wing Festival and Ohio State University. As Quaker Steak & Lube® continues to grow and expand; new items are added with the latest menu including 64 different items, 16 sauces and 6 wing sizes. Quaker Steak & Lube® racked up accolades from the Sharon Herald, Tribune Chronicle, Lowe’s MotorSpeedway, Casual Theme Restaurants, Erie Times News, Ohio State University, QSR Magazine, National Buffalo Wing Festival, Florida Wing West, Zesty Food Show and Fox 8 News. As part of one of The Lube®’s larger expansion years, Quaker Steak & Lube opened up a location in Charleston, WV. Visit Quaker Steak & Lube® Charleston’s restaurant homepage. Quaker Steak & Lube® Milford, OH restaurant opens for business. Visit Quaker Steak & Lube® Milford’s restaurant homepage. Quaker Steak & Lube® Bloomsburg, PA restaurant opens for business. Visit Quaker Steak & Lube® Bloomsburg’s restaurant homepage. Quaker Steak & Lube® Austintown, OH restaurant opens for business. Visit Quaker Steak & Lube® Austintown’s restaurant homepage. Quaker Steak & Lube® racked up accolades from Zest Fest 2006, American Culinary Standards Board, The Sharon Herald, Tampa Bay Magazine, Warren Tribune, Lowe’s Motorpeedway, National Buffalo Wing Festival and State College Magazine. Dusted Chipotle BBQ is introduced. Quaker Steak & Lube® continued to expand with new a state, opening a restaurant in Portage, IN. Visit Quaker Steak & Lube® Portage’s restaurant homepage. Quaker Steak & Lube® continued to expand with new a state, opening a restaurant in Council Bluffs, IA. Visit Quaker Steak & Lube® Council Bluffs’ restaurant homepage. Thai ‘R’ Cracker Sauce is introduced. There are now 18 wing flavors on the menu. Rice Bowls are also introduced. Quaker Steak & Lube® racked up accolades from Zest Fest 2007, Atlanta Magazine, The Sharon Herald, Pittsburgh Tribune-Review, Lowe’s MotorSpeedway, Tribune Chronicle, Tampa Bay Magazine, Town Crier, Erie Times-News and the Southwest Gardens Rib Burn Off. Quaker Steak & Lube® Canton, OH opened for business. Visit Quaker Steak & Lube® Canton’s restaurant homepage. Quaker Steak & Lube® expanded into new territory with new a restaurant in Greenville, SC. Visit Quaker Steak & Lube® Greenville’s restaurant homepage. Quaker Steak & Lube® racked up accolades from the Pittsburgh City Paper, The Pitt News, National Buffalo Wing Festival, Zest Fest 2008, Valley Magazine, National Hamburger Festival, Charleston Gazette, United Way Wing Cook-Off, The Sharon Herald, Annual Taste of Greene County and the Peek ‘n’ Peak Wing Cook-Off. Quaker Steak & Lube® Colerain, OH restaurant opens for business. Visit Quaker Steak & Lube® Colerain’s restaurant homepage. Quaker Steak & Lube® Newport News, VA restaurant opens for business. Visit Quaker Steak & Lube® Newport News’ restaurant homepage. Quaker Steak & Lube® Vermilion, OH restaurant opens for business. Visit Quaker Steak & Lube® Vermilion’s restaurant homepage. Quaker Steak & Lube® Wheeling, WV restaurant opens for business. Visit Quaker Steak & Lube® Wheeling’s restaurant homepage. Quaker Steak & Lube® Mentor, OH restaurant opens for business. Visit Quaker Steak & Lube® Mentor’s restaurant homepage. Triple Atomic Wing Sauce is introduced. Quaker Steak & Lube® racked up accolades from the Pittsburgh City Paper, American Royal BBQ, Zest Fest 2009, The Valley Advantage, The Times-Tribune, Daily Press Choice Awards, The Greer Wing Fling, National Buffalo Wing Festival, United Way Wing Cook-Off, Southland Tribune, Peek ’n Peak Wing Cook-Off and The Pittsburgh Tribune-Review. Quaker Steak & Lube® expands into new territory with a restaurant opening near Denver, CO.
Visit Quaker Steak & Lube® Westminster’s restaurant homepage. Quaker Steak & Lube® racked up accolades in the Hot Pepper Awards, Pittsburgh City Paper, Daily Press Choice Awards, Metro North Chamber of Commerce 10th Annual Taste of the Chamber, Sticky Fingers 2010, The Tampa Tribune, National Buffalo Wing Festival, Warren Tribune Chronicle, Pilot Media, United Way Wing Cook-Off, Daily Press, Shenango Valley Chamber of Commerce, Wheeling Health Right, Inc., Sharon Herald, Annual Taste of Greene County, Vermilion Chamber of Commerce, The Voice, Student Newspaper at Bloomsburg University, The Cranberry Eagle and the Pittsburgh Tribune-Review. Quaker Steak & Lube® New Berlin, WI restaurant opens for business. Visit Quaker Steak & Lube® New Berlin’s restaurant homepage. Quaker Steak & Lube® Boardman, OH relocates to a larger location. Visit Quaker Steak & Lube® Boardman’s restaurant homepage. Quaker Steak & Lube® racked up accolades in the Hot Pepper Awards, the Buffalo Wing Festival, Washington, Pa. Rib Cook-Off, Cleveland Magazine, the 3rd Annual Western Lake County "Battle of the Burger," Pittsburgh Magazine, Town Crier Newspaper, United Way Wing King, KDKA, Tribune Chronicle, Lorain Morning Journal, Sharon Herald, Westword Magazine, Chiliblaze.com, The Cranberry Eagle, Pittsburgh Tribune-Review, WEWS News Channel 5 and Zest Fest 2011. Quaker Steak & Lube® Harrisonburg, VA restaurant opens for business. Visit Quaker Steak & Lube® Harrisonburg’s restaurant homepage. Quaker Steak & Lube® Slippery Rock University, PA restaurant opens for business. Visit Quaker Steak & Lube® Slippery Rock University’s restaurant homepage. Quaker Steak & Lube® Lakewood, OH restaurant opens for business. Visit Quaker Steak & Lube® Lakewood’s restaurant homepage. Quaker Steak & Lube® wins Festival Favorite at the National Buffalo Wing Festival in Buffalo, NY. Quaker Steak & Lube® Johnstown, PA restaurant opens for business. Visit Quaker Steak & Lube® Johnstown’s restaurant homepage. Quaker Steak & Lube® expands into Kentucky when Florence, KY restaurant opens for business. Visit Quaker Steak & Lube® Florence’s restaurant homepage. Quaker Steak & Lube® expands into New Jersey when Brick, NJ restaurant opens for business. Visit Quaker Steak & Lube® Brick’s restaurant homepage. On the same day our Kent State University, OH location also opens. Visit Quaker Steak & Lube® Kent State University’s restaurant homepage. Quaker Steak & Lube® Medina Township, OH restaurant opens for business. Visit Quaker Steak & Lube® Medina’s restaurant homepage. Quaker Steak & Lube® Columbia, SC restaurant opens for business. Visit Quaker Steak & Lube® Columbia’s restaurant homepage. Quaker Steak & Lube® Pittsburgh International Airport restaurant opens for business. Visit Quaker Steak & Lube® Pittsburgh International Airport’s restaurant homepage. Quaker Steak & Lube® Janesville, WI restaurant opens for business. Visit Quaker Steak & Lube® Janesville’s restaurant homepage. Quaker Steak & Lube® State College, PA restaurant opens for business. Visit Quaker Steak & Lube® State College’s restaurant homepage. Quaker Steak & Lube® Mechanicsburg, PA restaurant opens for business. Visit Quaker Steak & Lube® Mechanicsburg’s restaurant homepage. Quaker Steak & Lube® Warren/Cortland, OH restaurant opens for business. Visit Quaker Steak & Lube® Warren/Cortland’s restaurant homepage. Quaker Steak & Lube® Edison, NJ restaurant opens for business. Visit Quaker Steak & Lube® Edison’s restaurant homepage. Quaker Steak & Lube® York, PA restaurant opens for business. Visit Quaker Steak & Lube® York’s restaurant homepage. Quaker Steak & Lube® Bristol, VA restaurant opens for business. Visit Quaker Steak & Lube® Bristol’s restaurant homepage. Quaker Steak & Lube® League City, TX restaurant opens for business. Visit Quaker Steak & Lube® League City’s restaurant homepage. Quaker Steak & Lube® expands into Louisiana when Sulphur, LA restaurant opens for business. Visit Quaker Steak & Lube® Sulphur’s restaurant homepage. Quaker Steak & Lube® expands into Nebraska when Grand Island, NE restaurant opens for business. Visit Quaker Steak & Lube® Grand Island’s restaurant homepage. Quaker Steak & Lube® Pohatcong, NJ restaurant opens for business. Visit Quaker Steak & Lube® Pohatcong’s restaurant homepage.